Trust us, we take your pharmaceutical translations as seriously as you do. The pharmaceutical field continually changes and evolves. 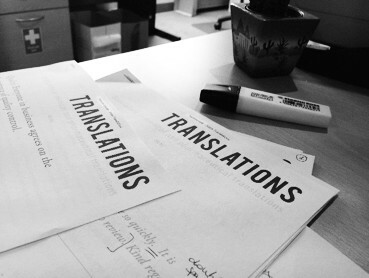 As well as using only highly qualified translators, our in‑house team stays up-to-date with current developments. This way we can make sure that nothing is overlooked. Many of our translators are former medical and/or scientific professionals, with extensive knowledge of the industry in fields such as biotechnology, chemistry, biochemistry, microbiology, toxicology, immunology, cell and molecular biology and drug safety information. Therefore, all the intricacies of a highly complex pharmaceutical text come as second nature to anyone appointed by us to translate your document.